Neither me nor my dog deal very well with the heat. We both spend our days seeking out shady spots to hide in and trying to expend as little energy as possible. Sage, with her medium length black fur coat, really suffers during hot days. 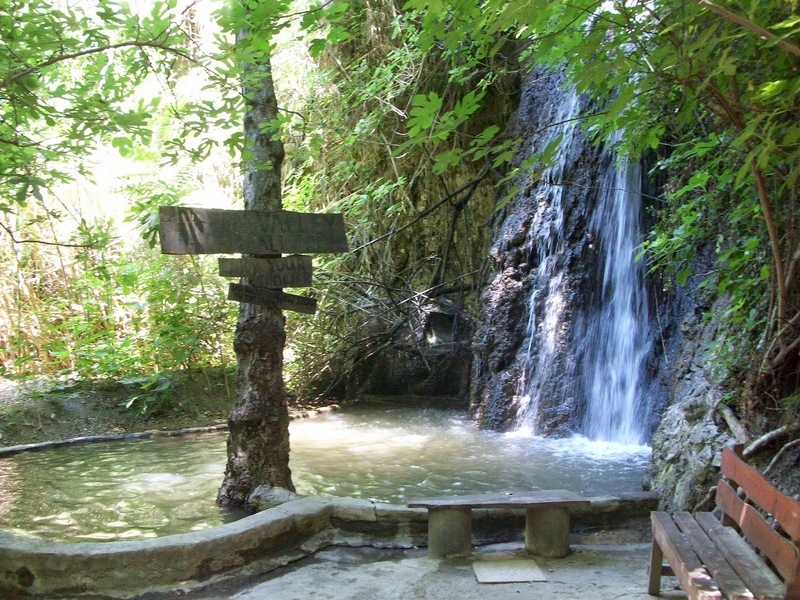 So, heading up to the cooler, shady Troodos mountains is a great way to pass the hottest days. We've spent a lot of time in this area, hiking the nature trails, eating and drinking in the small villages, staying in some of the lovely Agrotourism accommodation available there. 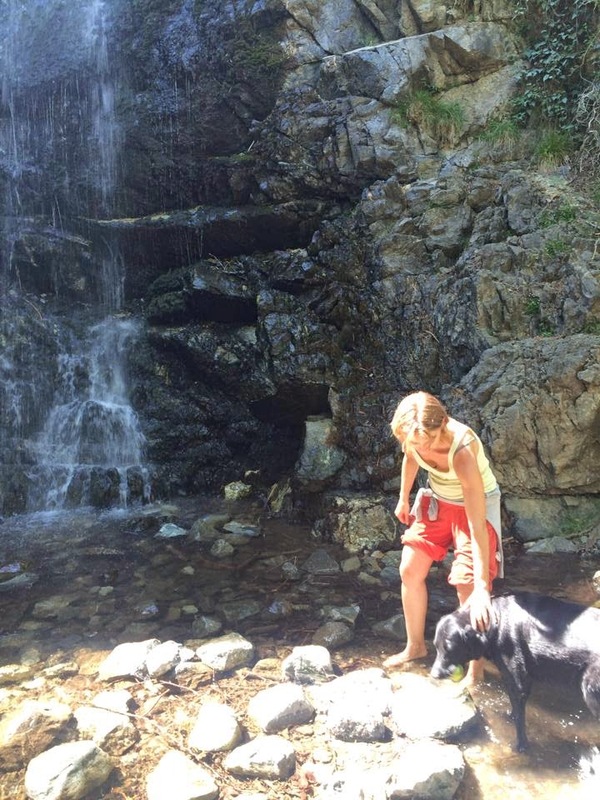 It always feels much cooler there (so much so that we froze up there in April last year while it was almost beach weather in the coastal areas), and we have even managed to hike some of the more covered, woodland trails in mid summer. Our most recent visit was last weekend. We drove as far as the lovely, shady Platres, and spent some time exploring the village. A friend of mine was visiting, so we took her to see the Caledonian Waterfalls (that I've written about in a previous post, here). Also in this are are the Milomeris Waterfalls, which are at the end of a short walk through woodland, although these falls attract more visitors so a bit less chance to let your dog run around freely, see my review here. This was the first time in several days that I had seen Sage really running around, frollicking even, clearly loving the icy water and shady paths. There were quite a few visitors there, some with their dogs too, including a family who had brought their dog on holiday with them from Russia! Most people kept their dogs on their leads. I find this really tough as there are relatively few places I can let Sage really run at her own speed, to go and sniff whatever she likes, to jump in the water freely - I don't want to ruin her fun. However, I suppose as it gets to summer time and the trails are busier with families and holiday-makers, dog owners may have to have this in mind. I have read reviews saying that there was little or no water in the Falls during the summer. These waterfalls are not spectacular and visitors should not expect Niagra Falls here, but the enjoyment comes from following the lovely woodland paths, looking at unusual and endemic species of plant life, crossing the stream on small rickety bridges, enjoying the cooler mountain air and the contrast to the wildlife and climate of the rest of the island. 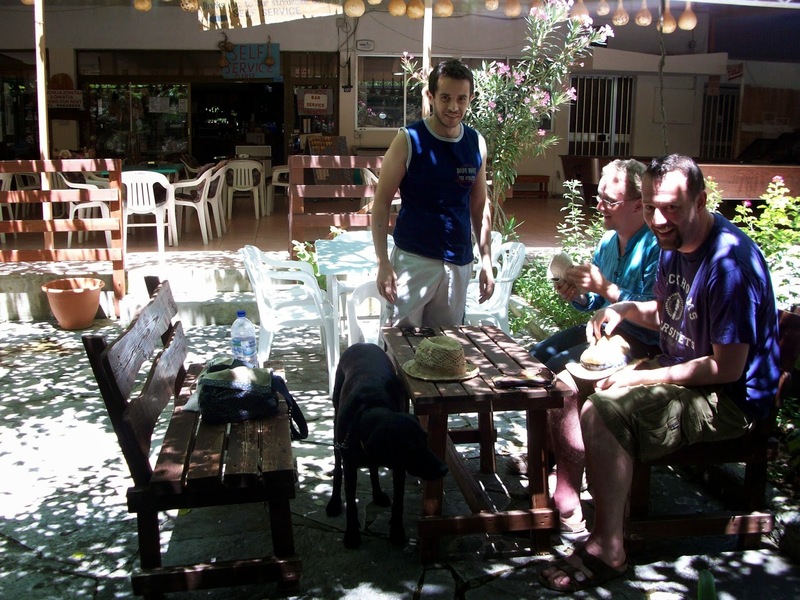 After a long walk (and bit of a swim for some of us) we went to have lunch in Pano Platres. 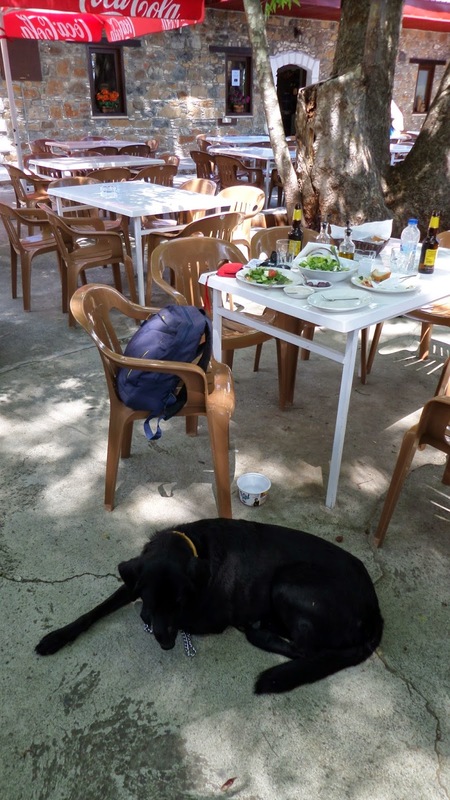 I am sure many of these places would have accepted dogs in the outdoors areas of the cafes/restaurants, but we chose somewhere that looked big with plenty of space to sit with Sage out of the way of other customers. 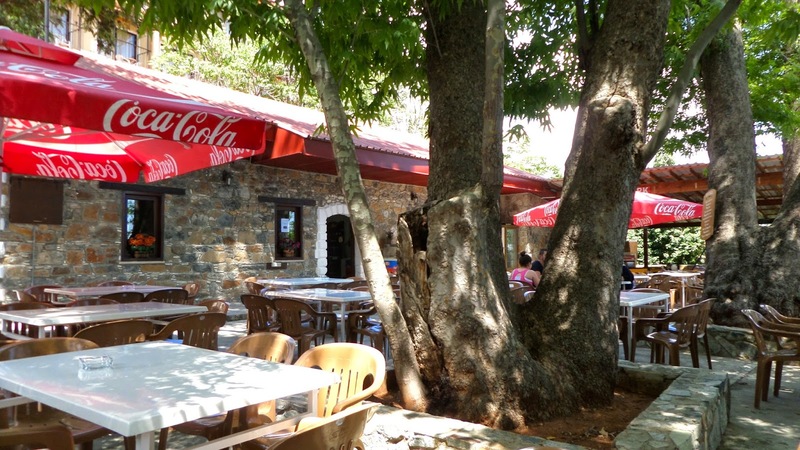 This was Antonis Cafe, on the main road through Pano Platres just by the municipal parking and tourist information area. The staff were very friendly and didn't have any problem with Sage being there. They made an effort to produce a vegetarian option for us, although I think the usual menu is sandwiches/burgers/snacks. A very large fresh salad, halloumi, bread, olives, tahini, 2 beers and water came to just 15€. We finished our day out with a coffee stop at a place that I am a bit ambivalent about. 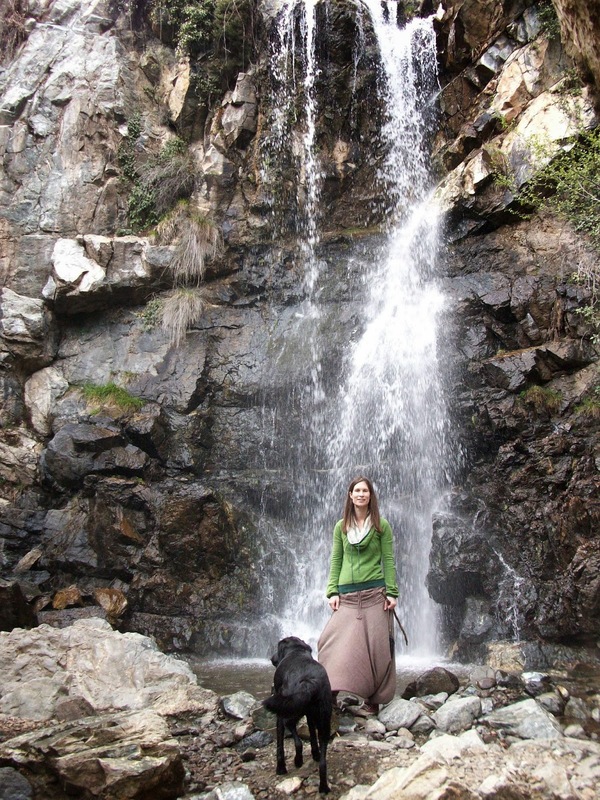 Green Valley Waterfall Cafe is on the road from Lemesos up to Troodos, in Trimiklini. It has a large open patio space with tables, as well as a covered area, and, what makes it special, a lovingly made path down to some waterfalls absolutely full of plants and animals. I wrote about it here. I thoroughly recommend spending the 5€ entrance fee to drink your coffee or have a picnic down at these waterfalls. What I don't recommend, however, is sitting with your (female?) dog in the cafe itself. The owner has two small but rather aggressive female dogs that have tried pretty hard to attack Sage on two occasions now. I understand the territory issue, but I was annoyed that I could not enjoy my coffee without fear of being attacked. 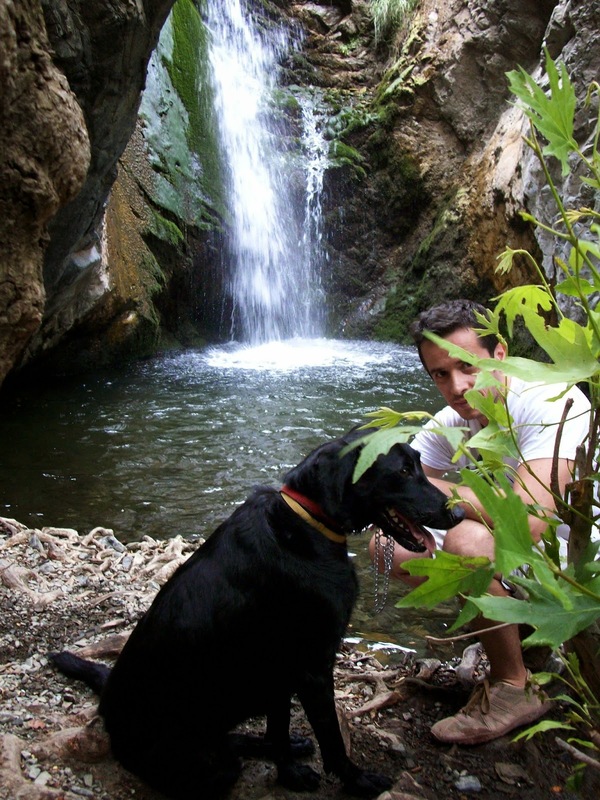 If you have your dog with you, just head on down to the waterfalls for a more relaxing, peaceful experience. There is so much to explore in this area and it provides a very welcome break from the heat and bustle of the coast. Your dog will love it too. I'm so glad! Did you enjoy it? Did your dog love it too? Hilltop Gardens is situated in the centre of Paphos, approximately 500 m from the Tombs of the Kings. Facilities include a separate pool for children and a mini market for the essentials. We serving with hotels apartments cyprus, book Paphos hotels and hotels apartments cyprus. Thanks for writing such a detailed and exciting travel story! 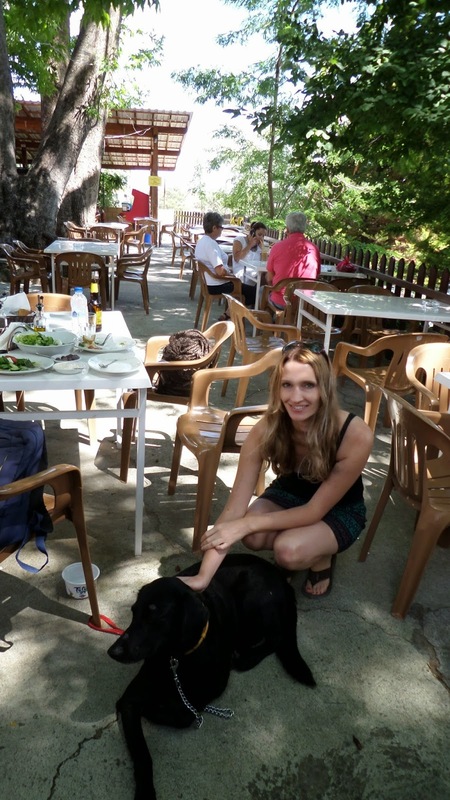 Troodos Mountains is an amazing place to visit, especially on winter, when it is snowing. The scenery is breathtaking! These mountains, towns, villages and fabulous countrysides are unforgettable!